My mission, as an artist, is to create enduring works of profound beauty that inspire and transform. I earn most of my commissions because my clients recognize in me the same passion, skill and professionalism that made them successful in their own businesses. Every project is unique… yet my approach is always the same: When I accept a commission, I first need to make it “mine.” If I can’t design something I want to create – or something I would love to have myself – it then becomes difficult to put in the time, talent and commitment my work requires. I wouldn’t be inspired, and neither would my clients. Having said this, I greatly enjoy working with my clients, and their chosen theme, to create the best possible solution for their custom work of art. Once my proposal has been accepted, and the project terms and logistics have been approved in writing by all parties – and once the deposit paid – I begin the design. Working with the agreed theme, I research, sketch and collect any photo reference required to create a dynamic composition specific to the project and to the site. Once the client has “signed off” on the final design and/or any changes to the original proposal, I begin the process of creating the mosaic in my studio. Typically, the finished mosaic sections are transported to the site, set in thin-set mortar over pre-installed concrete backing board, then grouted with white grout, which is then custom colored with grout colorant. Mosaic is very versatile, and each installation is different. 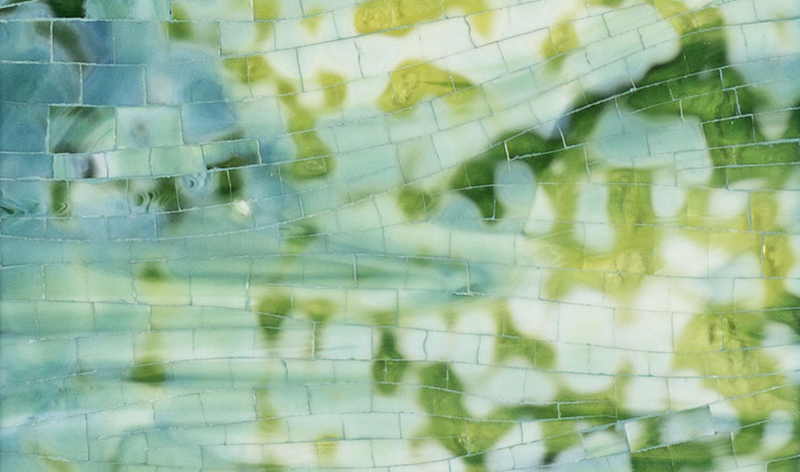 We can design mosaics that are sculptural, free-standing, or in the traditional two-dimensional mural format – they can float off a wall backlit with “cove” lighting, they can be wrapped in copper – and they can be designed in myriad other variations. 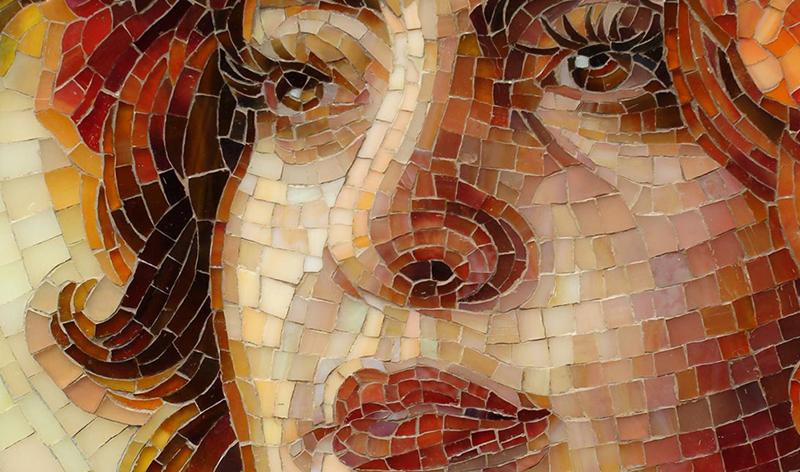 No matter how contemporary the application, my mosaics will always have the depth, the light, and the color for which I am known. Pricing for my mosaics is by the square foot and includes design, materials for the mosaic, and the mosaic sections glued temporarily to paper and ready for installation. Because all sites are unique, all installation expenses are billed separately and may include labor, materials, setting, grouting, sub-contractors, custom coloring of grout, sealing, structures, airfare, transport, ect.